Thelma woke one morning. It was still “dark morning” as she had always called it when one of her parents had awakened her for school or some early morning traveling before sunrise. “Is it dark morning?” she would ask. Thelma quickly put on her robe and slippers and headed for the back door. There was Skiff her beloved mutt curled up sleeping on the mat in front of the door. He opened his eyes and wagged his tail as she approached. She opened the backdoor and off they went towards the one big tree in her yard. Sure enough, there was a bicycle hooked up to the trunk of the tree. She could barely reach it. But with a little hop she was able to unhook the bike and bring it down. The basket fit perfectly to the handle bars. “Ok, here goes!” She whispered to herself and Skiff as she climbed onto the bicycle and set off. The bicycle had a mind of it’s own! She was going to peddle down the street but instead the bicycle went around her house. She tried again as the driveway came up on the right but again the bicycle went bumping around the house and one more time again. Then she remembered in her frustration to steer the bike, that the note said the bicycle would show her where to plant the seeds. “Oh! I’m supposed to plant the seeds around our house!” She parked the bike against the house and began digging little holes for the seeds under the kitchen window. She carefully placed a few of the glowing seeds and covered them back up with dirt. Then all along the sides of the house she repeated her task until she ran out of seeds, which happened to be where she had started. The bicycle was gone. Then she noticed the early morning light painting the eastern sky. She glanced over to the tree and caught a glimpse of the bicycle disappearing into the thick foliage of the tree. As she and Skiff opened the back door she met her parents and older sister coming downstairs. “Hey, you’re up first this morning! How did that happen?” Bea, Thelma’s oldest sister asked. Thelma didn’t answer, she just walked over to them and gave them all hugs and said: “I love you.” Then together they went into the kitchen to make breakfast together. and we are glad you are here to share it. 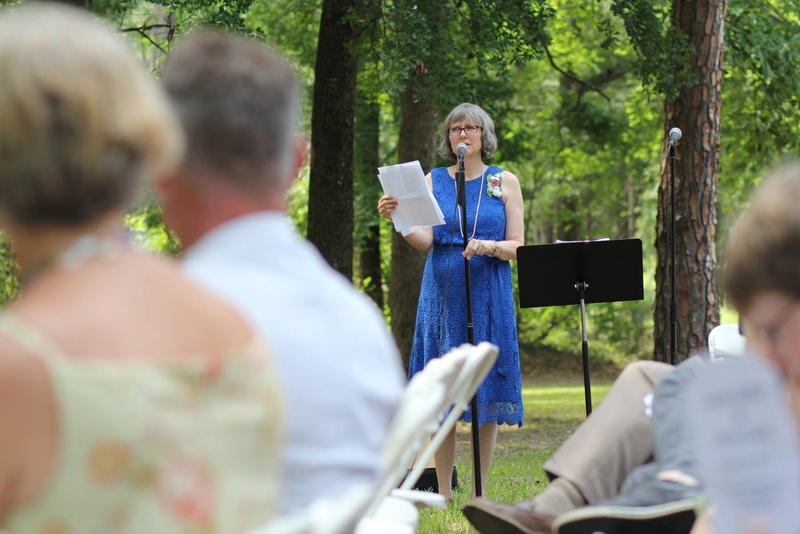 These are the four poems I read at Nathan and Sarah’s wedding this last Saturday in Dubach, Louisiana. The first I wrote for Michael and Analia’s wedding in Tarija, Bolivia in 2009. The second I wrote for Suzie and Lich’s wedding on Whidbey Island in Washington State in 2010. The third I wrote when Nathan and Sarah were about to graduate from Tien Shan International School in Kazakhstan in 2009. The final poem was written in 2014 especially for Nathan and Sarah’s wedding. Love is a choice we make each day. And say “I am here in all my glory”. That waiting would take this long? That your hopes and dreams had to die and be buried? That a surprise resurrection was coming? That there were tender eyes watching? That there were strong hands guiding and weaving? That you would be invited to join together in the great dance of love? That you would hear the invitation and say yes? Who knew? God knew and now we all know! Let the source of all Love teach you now how to love one another. Our 1,750 square foot home did not feel very big when we gathered as a small clan for an extended time in mid wet winter. There were a few days when 9 of us were together. I am grateful for dear friends who let us use their “cabin”, which was bigger than our house, for those few days. Mix in a small dog with a toddler to liven things up and you can imagine the chaos at times. On the whole the 1,750 square feet were big enough, everyone had a bed or at least a mattress, enough bathrooms to share and room to cook in the kitchen to keep all of the above fed. Compared to some parts of the world where we have traversed, our square footage is enormous. Many families in Hong Kong live in very small flats where gathering as a clan takes creativity. When we lived there, hospitality was often shared in a favorite restaurant. We were grateful for the rare opportunities to visit friends in their homes. The refugees (boat people), who were our students, had one tier of a double sized bunk bed to call home. Yet, they still practiced hospitality and invited us to sit on low plastic stools to share a meal. Our Central Asian friends don’t worry about tables and chairs, they sit on colorful mats on the floor with a tablecloth spread out on the carpet for piles of food to share. That way more people can squeeze into a room. Later they spread those same mats and more for sleeping. 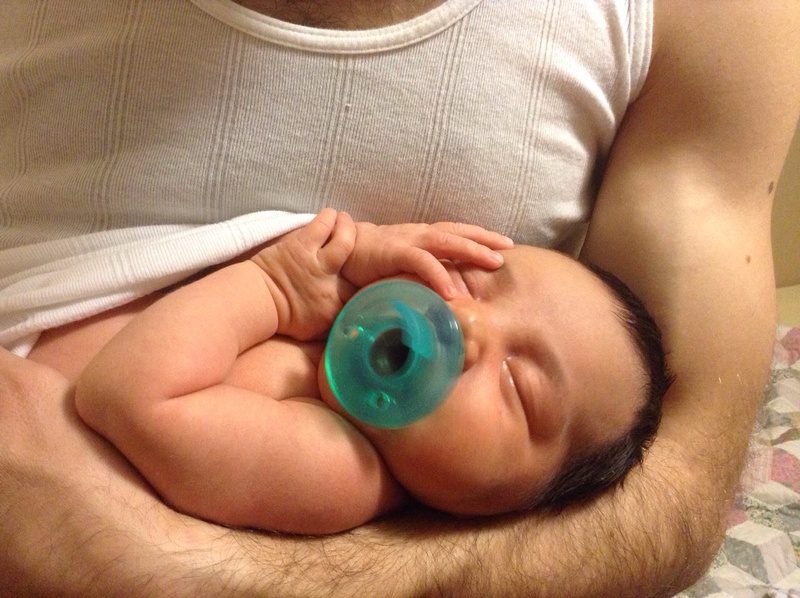 I have been thinking this morning about how good it was to gather as a growing family. It’s good to move our stuff and make room for each other. Our bonds were strengthened with each other. Our grandson will not remember the details of this visit in his long-term memory, but I believe he bonded with each of us in a special way that will continue through his life. I’m smiling as I think of him singing “Teo, Teo, Teo”, (Uncle in Spanish) as he headed upstairs looking for his very fun Uncle. Or the report from his Mama that he woke up saying “Nana” a morning or two while he was here. Another way it was good, was to see where love still needs to grow. We don’t always know unless we are in a situation where it is challenged. Say, tired and in need of a shower and both of the showers are in use. Or, not quite enough of that fresh french pressed coffee to go around. Or, whose on the dish duty, not me again? Or just trying to figure out what to do together. Things like that can help us see where our attitudes need adjusting. If we live isolated lives we never really know where we need to grow. When the children were young and we all lived together, there were daily lessons to be learned by all of us. Now I need my family to keep showing up for visits to keep that process going in my life. It’s not just knowing where I need to grow that is important, but also turning those needs into prayers and inviting the help of Heaven to bring about change on earth, in me. I am tired and need to put my house back together again. I need to get back into my regular schedule of writing and meeting with people, but above all I am so grateful for the sacrifices my kids and their spouses made to come home, travel from far away for the holidays. The question came at our annual church camp out. We were chosen because it was our anniversary that weekend and, well, we were up there among the couples that had been married the longest. How that happened so fast I’m not sure. I have so many memories of being the young ones, in-experienced, greenhorns, etc. I guess if you just stick at something long enough you get to be the experts whether you know anything or not! The game went this way. Three couples chosen. Spouses split up and asked questions separately. Then, later answers are compared to see who really knows each other the best. If your married life could be characterized by an amusement park ride, which would it be: a roller coaster, a kiddy car, or the Fun House? I thought about it for a bit and it would have been easy to say a roller coaster, but really that is only part of it. All the answers were true. Those early years of marriage were pretty up and down with a few more bumps all along the way. Yes, there were also years where it felt like our life was all about our kids and we couldn’t imagine it being any other way. A few years ago I probably would have answered a roller coaster ride. I answered the Fun House instead, because I am learning how to look at things from a more positive perspective. The perpetually glass half empty gal is learning a new way of seeing the glass half full. It has taken time, but I do feel much better about life when I look for things to be grateful for, rather than focusing on what I perceive to be negative. In reality our marriage has mostly been fun, joy and adventure. I have been to more countries in the world than I can count on two hands. I have grown to love the out-of-doors and have enjoyed the beauty of the backcountry. I’m still a little nervous about bears, but hey, I have seen them in the wild and the most harm they have done to me is eat all my food while I was sleeping. I even have heard a cougar screech past my tent in the middle of the night and have lived to tell the tale. Then, all the joy of raising our kids together really stands out. Every little, new thing they did burst our hearts with joy and pride. Then literally fun and games as they got older. Of course there were ups and downs, and sibling rivalry, but we weathered those storms and all grew together. We learned how to “live in peace with each other”. That was our youngest son’s first memory verse when he was three. Good verse for us all to live by. Another thing about the roller-coaster rides, those were the times when iron sharpened iron, and our rough edges were worn down. So now I am grateful for them as well. The weak areas in our life showed up under stress and we were able to work on them with a lot of help from our friends, counselors and God. So those weak areas were strengthened and our love for one another grew. So I can say thank you for them now, because they have made us better, stronger, more compassionate people. So when husband came back to the campfire to give his answers with the other husbands. He thought about what he thought I would say. At first he said: “Mr. Toad’s Wild Ride?” which was not one of the given answers. If you grew up in Southern California going to Disneyland every year or read the Wind in the Willows you know what he’s talking about. Then he answered Roller Coaster ride. He was surprised that I had said Fun House. “What’s happening to my wife?” I guess it is taking time to get used to her drinking from that glass half full now. Bill and I are walkers. We have a half-dozen walking routes of varied lengths that we take depending on time and energy. One of our favorites is down by the beach but we need at least an hour for that one with a short drive to get there. The route we took today is about 40 minutes. It has a view of the sound, some hills, curves and crossing one mildly busy street. On one part we go up and down a couple of hills. There are no sidewalks on these side streets. I am always zigging and zagging across the street so I can keep the on coming cars, if there are any, in sight and get out the way if need be. I don’t want to be on the wrong side of a hill where the driver doesn’t see me and I don’t see the driver. I learned that when I was 16 and in Drivers Ed in High School. In fact I learned a lot of things about driving and road safety in that class that lasted half a year and with an instructor who drilled every thing into our heads. Now, Bill didn’t have Drivers Ed in High School. He went to a small prep school and had to take private Drivers Training. Let’s just say our Drivers Ed experiences were not on the same level. I drive Bill crazy sometimes with my zigging and zagging across the streets, along with my back seat driving at times. I am also the family Safety Marshall. Not only do I zig and zag, I check my mirrors when I get in the car, and always check my blind spots when changing lanes. I also check for fire hazards in the house, move books and other flammable matter away from heaters, make sure the stove is off, double-check to make sure doors are locked at night, never leave the house without wallet or phone. You get the picture. When we first were married we lived in my hometown. Bill was able to find a job with the taxicab company driving a Dial-A-Ride bus for senior citizens. He loved that job and those folks loved him too. He got to hear lots of stories from their long lives. One lady was booked on the Titanic with her Mother and the rest of her siblings. The Father of this family was in America waiting for them to come. He had a strong impression to cancel their booking and rebook them for the next ship rather than the Titanic. Well we all know what happened and can only marvel at the message he received which saved his family from trauma and tragedy. Well, on one of Bill’s days driving he had a reporter riding with him for part of the day. Bill was in the paper the next day! My favorite line of the story was quoting one of the passengers. She said, “He zigged and he zagged all over town but we had a wonderful time.” So I am not the only zigger/zagger in this family! It’s great when we are in alignment and zig and zag at the same times. Those are smooth times and we are grateful to have some of those days. But those off times of zigging and zagging are the spice of life and what makes our life together most interesting! How boring it would be if we were exactly the same. We need each other to keep growing in grace and love.